Add wainscoting and paneling to your interiors! Red Hills Lumber mills numerous patterns of wainscoting and paneling in both heart pine and longleaf southern pine. The most commonly used profiles are 4" and 6" beaded and V-joint. 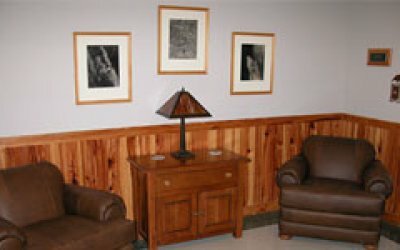 We can custom-make wainscoting and paneling patterns to customer's specifications. Blanks are also available for your own millwork projects. Mostly longleaf. Forest grown. Tight grained.